Accommodation can be one of the most difficult things when traveling to a new destination. 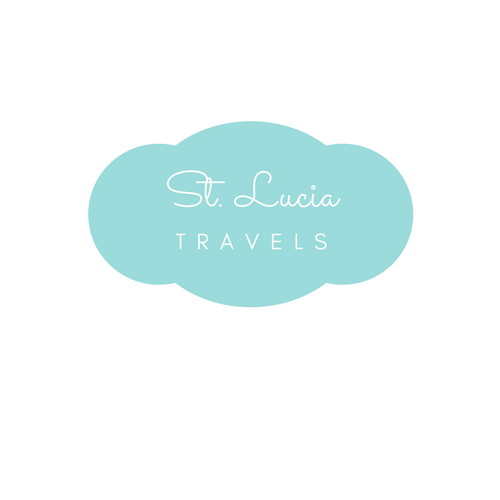 We don’t want you to have that issue whiles traveling to St.Lucia. This island has some of the most luxurious resorts. We have put together what we think are the 5 top best luxurious resorts on the island. Jade Mountain Resort and Spa is known as one of St.Lucia’s most romantic resort. Situated in the town of Soufriere and located right on the beach of Anse Chastanet, this beach resort has so much to offer. The ambiance of this resort gives a feeling of peace, serenity and just complete togetherness. The rooms come with the bedroom, living area, and your very own infinity pool. Creating a romantic memory at this adults-only resort will not be a challenge. At this resort, you can also enjoy the many restaurants along the Anse Chastanet beach as well as bars, boutiques, and two soft sand beaches available to the guest. This is a resort you and your special someone would want to come back to again and again. Book your stay today to experience the stay of your life. Ladera Resort and Spa in St.Lucia is known for its open concept bedroom and a spectacular view of the pitons. Staying at this resort is like a dream. It is the perfect place to celebrate your honeymoon or that 20th year anniversary. It will definitely rekindle some old flames. The rooms come with your very own warm water infinity pool and a bar, so you don’t have to leave your room if you really don’t want to. The food at the Dasheen restaurant is the die for. The array of colors of fresh fruits and vegetables on your plate are just amazing, plus the fresh fruit juices and to top that off, you have the most amazing view of the beach beneath you. If you have not planned your vacation as yet, then this resort should give you a reason to visit St.Lucia. Coconut Bay Resort and Spa recently opened up an adults only part of their resort. Serenity is the newest all-inclusive adults only resorts on the island. The great thing about that is that you can have you can have your family vacation and hide away and spend some quality time with your loved one. If you are looking to be spoilt, feel relaxed, disconnect and not lift a finger, then you have found the right place. The staff at Serenity try to fulfill your every need with anything from ordering food to your room or trying to book a tour of the island. The rooms are spacious and some even come with their very own private pool. Butler service is also available at your request. This is not a resort you want to miss out on especially if you want to plan a family vacation but also get some quality time in. Don’t be left out, book with them today!!! Ti Kaye Resort and Spa is an award-winning adults only resort. It is located right about the secluded cove of Anse Cochon. If you are a nature lover, then this might be the perfect resort for you. Although it comes with the day to day amenities, these cottages are built with having nature in mind. The outdoor showers really give you the feel of living with nature. relaxation is not an issue at this resort. Try relaxing in your very own private balcony on you double hammock with your special someone. Taking a plunge in your very own private pool on a hot day might be just what you need to cool down. The services from the staff are always impeccable. They go above and behind to make sure your stay is comfortable and relaxing. This resort is a nature lover’s heaven, so hurry and book your stay today. The great thing about the Sandals Resorts in St.Lucia is that we have three different ones with different things to offer. If you do decide to stay at any of the Sandals resorts, you can play at all three. Having three different resorts to play at can be a great time. Stay at Sandals Grande, have dinner at Sandals St.Lucia and go snorkeling at Sandals La Toc. If you decide to stay at Sandals Grande, you could stay at one of their over the water bungalows and enjoy the view of the ocean right from your room. Sandals La Toc is known for the coral reefs at their beach, so you can always pop on over there and go for a day of snorkeling. Sandals Halcyon has the some of the best restaurants. You can choose from six different restaurants, depending on what you are in the mood for. So get started in planning that magical vacation to St.Lucia and having the most unimaginable stay. These are the resorts we think are the 5 best adults-only resorts on the island. We hope that will help you make your decision on the perfect one to fit your every need. And I officially need a vacation! All of these resorts look heavenly! Thanks for sharing!